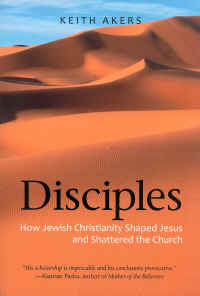 Disciples by Keith Akers is a very interesting and well researched book. The main focus of Disciples is to take an in-depth look at "Jewish Christianity" as it has commonly been called, which Akers contends may go back 1000 years or more before Jesus, which to us refers to a messianic movement. Much of the discussion in Disciples centers around the Ebionites and their religious practices, foremost of which was pacifism, vegetarianism, and a total rejection of the Jewish cultish practice of animal sacrifice which the Ebionites, some of the prophets, Jesus, Akers, and we contend was not from God. Disciples also discusses other related religious sects. It also covers Jewish Christianity before Jesus, during His lifetime, and what happened after His death and resurrection. There are sections on the influence of Jewish Christianity, as well as the history of the Ebionites. We highly recommend Disciples for everyone interested in early religious history. Disciples also is a great reference book for your library. Keith Akers has been a writer and activist for three decades. In addition to Disciples, he is the author of A Vegetarian Sourcebook (G. P. Putnam's Sons, 1983) and The Lost Religion of Jesus (Lantern, 2000). 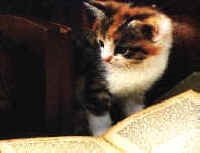 His "Compassionate Spirit" blog can be found at http://www.compassionatespirit.com. He lives in Denver, Colorado.